We are - unashamedly - a great independent foodie pub nestled between Reigate and Redhill. We offer a frequently-changing menu that is produced in our kitchen every day. 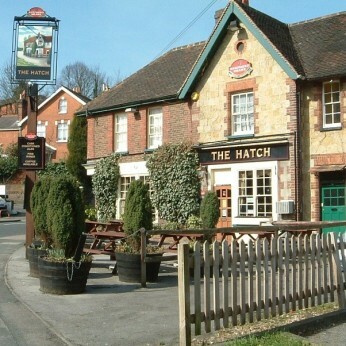 The Hatch closed its doors after new years eve 2016/17, with the sale from Shepherd Neame to a private owner completing in February 2017. In June 2017, we agreed a new lease for the pub, and throughout August and September many hours of work have gone in to refreshing the old and tired pub. As part of the refurbishment, we have spent a lot of time on the kitchen, bringing it up-to a modern professional standard, including new appliances and a proper wash-up area. The front of house has also seen significant investment. With new carpet in the bar area, as well as some exposed original floorboards, the walls have been re-painted, light fittings replaced, and we've had new lines installed. Both for the lagers as well as the cask ale lines. As if that wasn't enough, we've also replaced the furniture and put in a state-of-the-art wine preservation system, which allows us to offer an unrivaled wine list available by the glass in the local area. Being a freehouse, it gives us complete flexibility with what drinks we serve. Our range will likely change depending on what our suppliers can offer us, and we shall have a good selection of local drinks to chose from, as well as nationally-recognised brands. Indeed, if you've tried a really good beer recently, do let us know, and we'll see if we can get some in.